Eddie Wineland had to wait an extra three months, but he will ultimately get a crack at Renan Barao’s (pictured) interim bantamweight crown. The UFC announced late Wednesday the 135-pounders will co-headline UFC 165 on September 21. The duo were originally slated to headline UFC 161 in June, but Barao was forced to withdraw with an injury. 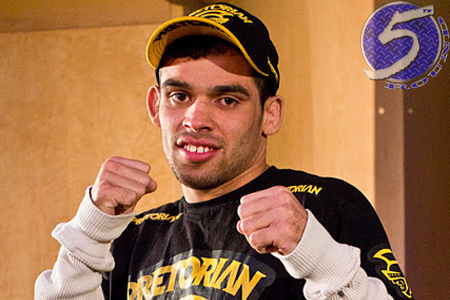 Barao successfully defended his title by submitting up-and-coming Michael McDonald at UFC on FUEL TV 7. The Brazilian captured the vacant manufactured belt the bout prior by beating Urijah Faber. Wineland, meanwhile, earned his crack at the throne on the strength of back-to-back victories. He most recently posted a split decision win over Brad Pickett at UFC 155. UFC 165 takes place inside Air Canada Centre in Toronto, Canada. A light heavyweight title tilt between champion Jon Jones and Alexander Gustafsson headlines the pay-per-view broadcast.